On Palm Sunday, the crowd went wild when Jesus rode into Jerusalem and they shouted Hosanna which means save. Often prayers in church are quiet and calm but Palm Sunday reminds us that a Prayer can be loud, emotional and from the heart. 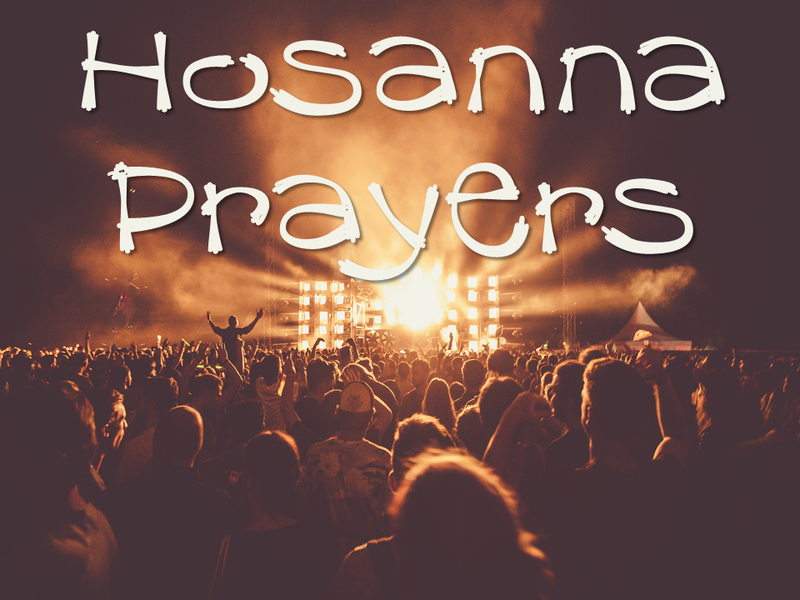 We will be using a simple form of prayer in our All Age Palm Sunday service tomorrow called Hosanna Prayers. When we read the Psalms we see a range of approaches and emotions expressed in prayer and Hosanna Prayers remind us of a part of this variety. I have also put together an account of what happened on Palm Sunday including some images to help people to think about what was going on and what it means. You can access this by clicking here. This entry was posted in creative communication, Faith, Prayer, salvation, Saved by Jesus and tagged creative communication, creative learning, creative prayer, creativity, Palm Sunday, What does hosanna mean?, what is Palm sunday all about?. Bookmark the permalink.